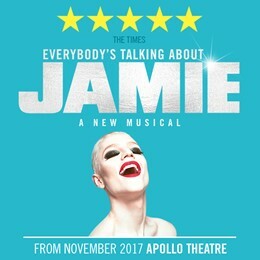 This fabulous, funny, feel-good brand new musical sensation hits London, with catchy new songs by lead singer-songwriter of The Feeling Dan Gillespie Sells and writer Tom MacRae, directed by Johnathan Butterell. The Apollo Theatre is one of the most famous West End theatres. 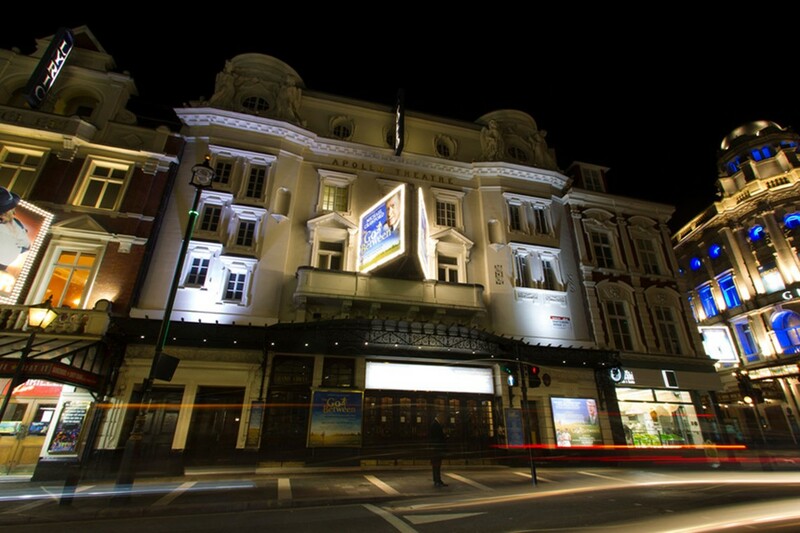 Located on the renowned Shaftesbury Avenue, the theatre has become well regarded as a venue which frequently receives major Broadway transfers. Opening its doors to audiences in February 1901, with a performance of the American musical comedy, The Belle Of Bohemia, the Apollo became the fourth official theatre to be constructed on the street. It is now a Grade II listed building, with a capacity of 775 seats spread over three tiers, of which the uppermost tier is the steepest of any in London. The main body of the theatre was designed by the architect Lewin Sharp, with the outside façade created by T. Simpson. The building was specifically built to hold musical theatre. The venue is fittingly named after the Greek god of the arts and leader of the muses. Interestingly, the Apollo Theatre is also recognised as the first theatre to be completed in the Edwardian period, owing to the death of Queen Victoria in January 1901. In recent times, the theatre has had a few ownership partners; from 1975, Stoll Moss Group owned the theatre until it was sold to Lloyd Webber’s Really Useful Group in 2000, eventually ending in its current ownership by Nimax Theatres, who purchased the venue in 2005. After the partial collapse of the ceiling during a production of The Curious Incident Of The Dog In The Night Time in 2013, the theatre reopened a year later, with work having been completed to rebuild the roof after the incident. Throughout its existence, the theatre has played host to various notable productions including Richard II and Twelfth Night which included the noteworthy performances of Mark Rylance and Stephen Fry respectively, and also Cat On A Hot Tin Roof which featured Sienna Miller in 2017.